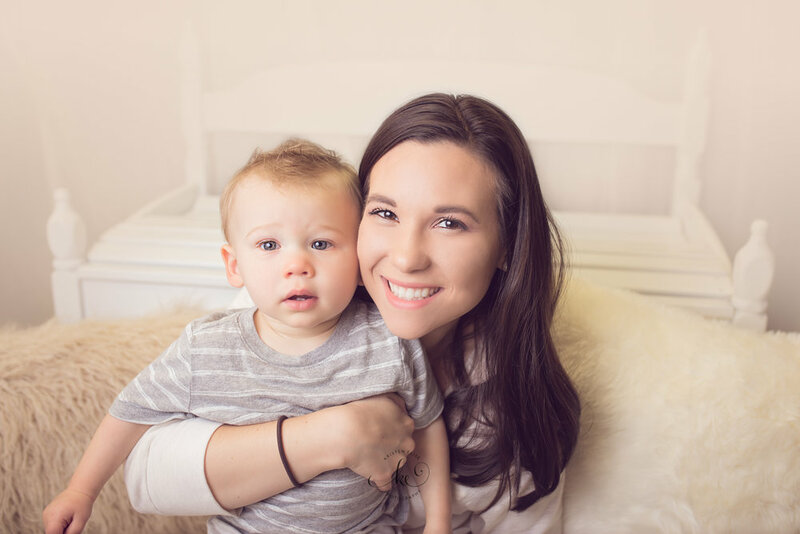 My last blog post I gave some tips on how to make your life easier when trying to take great photos of your kiddos! This blog post I'll expand on that and talk about some things you can do to make your photos a little more magical. It's 2 o'clock in the afternoon...the sun is SO bright...you're outside...your kids look great and are in good moods...time for a picture! You snap some photos and are trying the whole "close your eyes then open them real quick on 3" method. Maybe you're wondering why there's just something "blah" about your photo? Here's the secret - it's that sun that's hovering over your head! Midday sun is absolutely the most challenging sunlight to take photos in. The brightness casts really harsh highlights leaving your subjects and background typically look washed out. Not to mention the dreaded squinty eye look...ugh. So what are you to do? First things first, if you can find a shaded area, do it! Sunlight that is filtered in the shade will help create soft flattering light on skin. If there's no shade, try positioning your kids with their backs to the sun so it's not shining right in their eyes. The photo taken below is an example of shooting during bright sun but filtering it with shade. 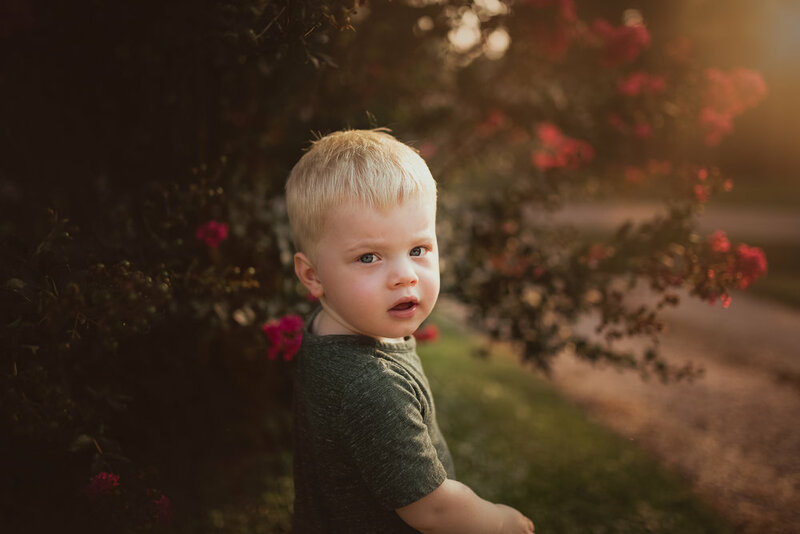 If you're really planning out a time to take some photos of your kiddos, try to plan it during the golden hour. This is the last 1-2 hours of light before the sun sets and it's what gives professional photos that "magical" look to them. Try positioning your kids with the golden sun behind them. Play around with your angles and see where the sun looks the best! As mentioned above, play with those angles! You don't always have to shoot straight on. try shooting from behind, off to the side, up close, far away, from up above or down below. Different angles create a uniqueness to your photos and help tell a story. Catch light is the little "sparkle" or highlight in your subject's eye, and is more often noticed in close ups. It's what helps bring attention to the eyes and creates life in a photo. Catch light can be achieved indoors and outdoors! If you're wanting to take a nice photo of you kiddo inside, try positioning them next to a window at a 45 or 90 degree angle. Look for the catch light or "sparkle", and move them around to experiment with different angles. When shooting outside, your sky is usually your catch light. Again, play with different angles! All catch light really is is a light source reflecting back into the subject's eyes.